The symbolic gesture of affixing a padlock on a tourist busy bridge or near a popular attraction in Europe is getting popular in most travel busy destinations. 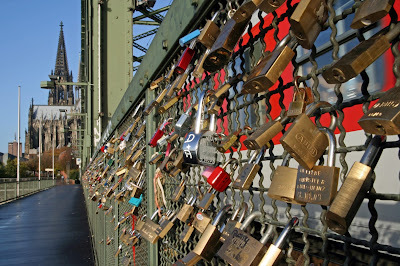 You can spot love locks all over Europe in destinations like Prague, Paris, Rome or even cities not so romantic in nature like Berlin. 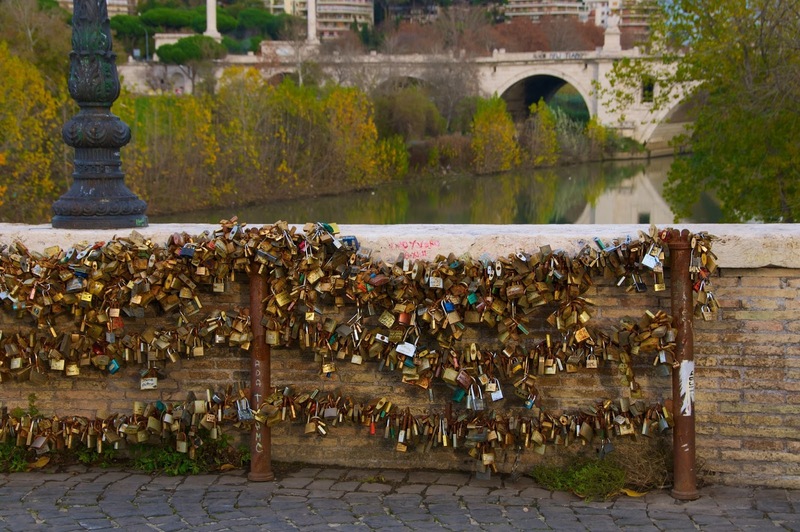 The origin of using love locks by couples that want to show their everlasting love is disputed, it may have started after WWII in Serbia or more recently in Italy. 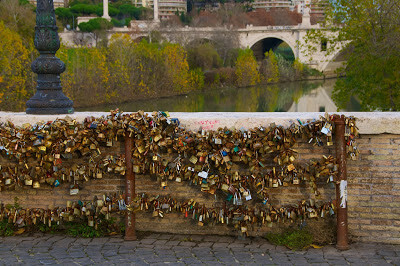 Although some see them as damaging to the architecture and even the structure of the bridges I thing that the locks are here to stay as a symbolic expression of love.